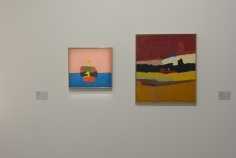 Galerie Lelong is pleased to announce the opening of Etel Adnan’s first museum exhibition in France. 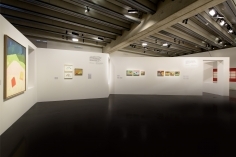 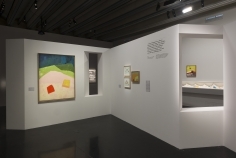 Organized by the Arab World Institute, the exhibition highlights Etel Adnan’s multidisciplinary practice as a celebrated figure for feminism and peace movements, poet, author, and visual artist. 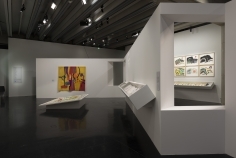 The exhibition is divided into four sections. 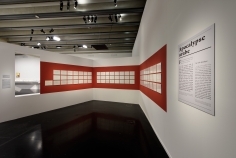 Underscoring her commitment to political activism, the first showcases The Arab Apocalypse (1980), her iconic book of poetry that responds to the Lebanese War and its destruction to her hometown of Beirut, Lebanon. 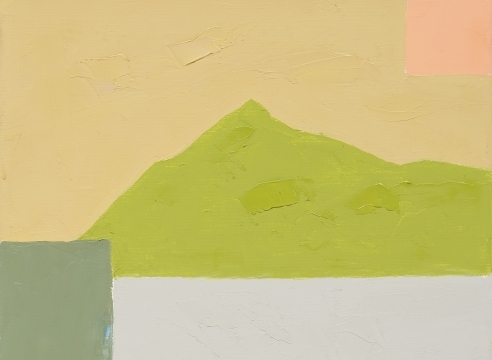 Another section hinges upon Mount Tamalpais, a recurrent motif in her work that developed from her time spent living and teaching in California. 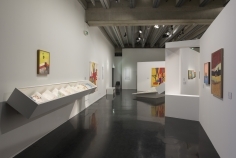 Having lived primarily in San Francisco and Paris for the past five decades, Adnan frequently draws upon her experiences of expatriation from familiar landscapes and languages. 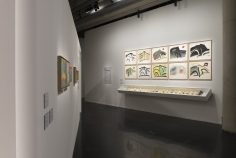 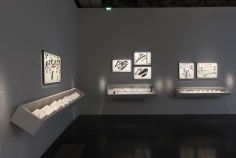 Other sections of the exhibition concentrate on themes of bridges and exiles that pervade her work, as well as depictions of color and sound. 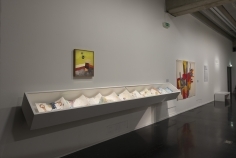 In 2014, the Arab World Institute presented Etel Adnan with the Chevalier des Arts et des Lettres, France’s highest honor that recognizes contributions to the worlds of art and literature. 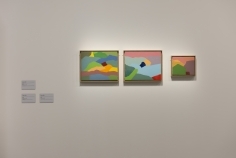 Her most recent museum exhibitions include Etel Adnan: The Weight of the World at the Serpentine Galleries, London, England, and recent publications include Life is a Weaving, published by Galerie Lelong Paris, and Night, a book of poetry and short verses.